Trisha Poona, who represented South Africa at the Mrs Universe pageant in Durban on Saturday was the audience favourite, receiving thunderous applause and encouragement whenever she appeared on stage. Trisha Poona: I felt so proudly South African! Trisha rocked the Traditional Ethnic Wear segment at the Mrs Universe world finals at Durban’s ICC on Saturday. While the World Finals on 2 September 2017 was definitely a highlight for Trisha, she says meeting inspiring women from around the world and forging new friendships made the entire experience an unforgettable one. 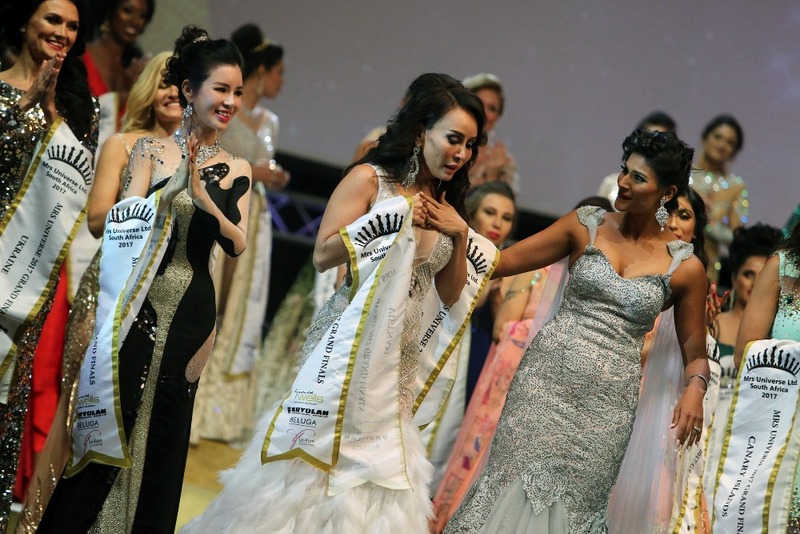 Trisha Poona who represented South Africa at the Mrs Universe pageant in Durban on Saturday, congratulates the winner, Mrs Vietnam, Tram Hoang Luu. Runner-up. Mrs France, Anastasia Gorshkova and Mrs India, Shaveta Athwal, rounded off the top five.